Find your brick online: Access the Alumni Brick Tracker. 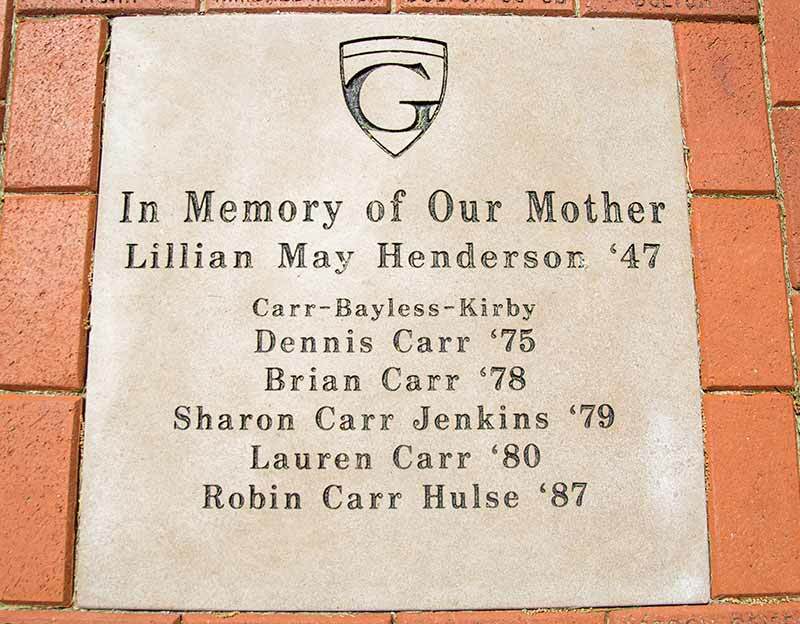 The proceeds of the alumni brick plaza are dedicated to the Alumni Association Endowed Scholarship Fund which exists for the sole purpose of providing financial assistance to descendants of Graceland Alumni. The paver (12x12") is $500 and will contain Graceland's wordmark and up to 7 lines of 16 characters each including spaces. The family paver (24x24") is $1,000 and will contain Graceland's wordmark and up to 11 lines of 30 characters each including spaces. The individual brick is $150 and will contain up to 3 lines of 12 characters each including spaces. The proceeds benefit the Alumni Endowed Scholarship Fund. Contributions are tax-deductible as allowed by law. Bricks are placed in the ground twice a year: Commencement in May and Homecoming in October. If you would like to see your brick online, access the Alumni Brick Tracker.